one: My sister came up to visit this weekend. We had a great time laying by the pool and listening to live music at one of the local Irish pubs. I’m actually surprised that I haven’t tried downloading any music tonight. 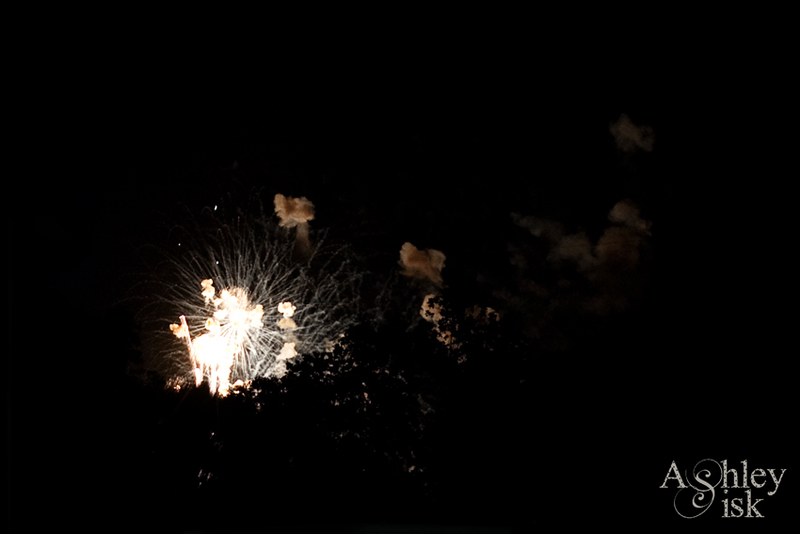 two: Last night, we found ourselves on a hospital parking deck to view the fireworks. 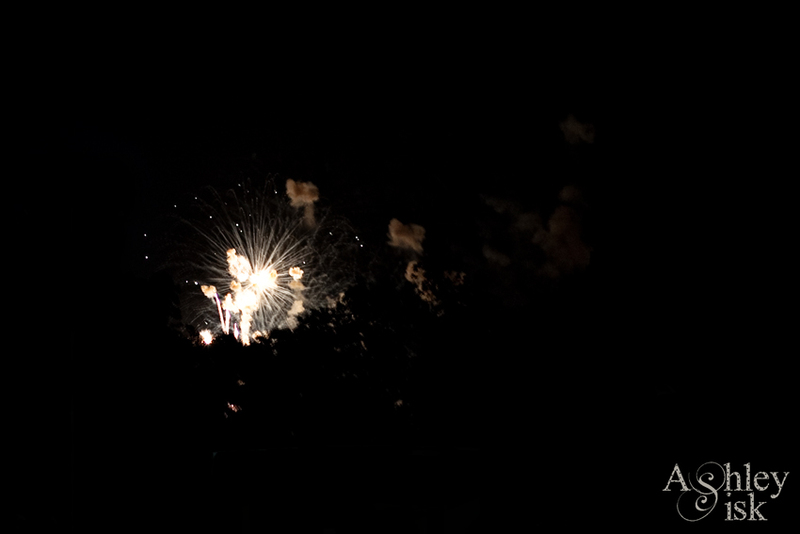 Unfortunately, we were over a mile away from the fireworks and I only brought my 50 mm f/1.8 lens. I also failed to bring my tripod. I took close to 400 images…I saved THREE! We should have just gotten sparklers and called it a day. three: I have $50 to spend at TJ Maxx (a gift from my Mother-in-Law). I went to TJ Maxx today (twice) with full intentions of spending it. I still have $50 to spend because I couldn’t commit to a pair of shoes or to hair product or face cream or whatever. four: I am really looking forward to Saturday. First, we go to Caroline and Jason’s shower…then we go to the beach. I can’t wait for vacation. No worries though, we’ll have an internet connection. five: I have decided to link up in FIVE locations tonight/today. Besides, the theme at Trendy Treehouse is “4th of July,” and the theme at Perceptive Perspective is “freedom.” These shots fit those themes, right? 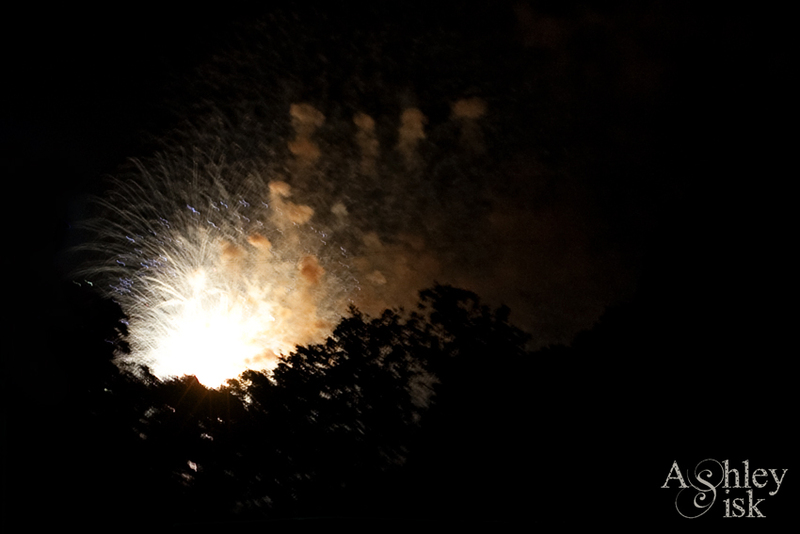 Actually, my firework shots remind me of The Star Spangled Banner. Don’t hate me for “killing multiple birds with one stone”…errr post.